For the first episode of this Anime they sure did go all the way. The animation quality is great, The storyline seems to have a interesting start by grabbing you and pulling you in with only filling in little details making you want more. It's more like a action comedy and possibly a romance. This year has had nothing but good Anime all season, Definitely will be adding this to my queue. Iif theere is anyone who's thinking about watching it you'll like it, great action and developing romance definitely one of the best this yeby far! I wasn't expecting something this interesting when i started this. I was wrong. This anime's plot intrigues me and it has the potential to go a long way. I hope it can make more than 1 season because i already love it! The first episode isn't all that sparking, but it does hook you in to a somewhat intriguing word of magic and mystical beings. Characters as of now haven't really been distinct, but I'll leave that to character development in the future episodes. The animation is also pretty good, as well as the action. Overall, anyone should definitely at least the 2nd episode. It's honestly too soon to rate the anime, but this is just my impression of the first two episodes. So far it has me going with the world's lore and the action, but the story and characters haven't really developed yet, but I'm eager to say what is in store! After finally taking in enough of this anime I realize it for what its for. It's an action anime filled with a bunch of fan service in the form of corny shonen tropes, and testosterone invoking jigglies. Though saying that, it doesn't mean its not entertaining. A lot of the aspect of Strike the Blood make the cringe, although I did no realize it until a quarter of a way into watching it. There is no interesting plot or characters, and the lore just becomes convoluted and overdone. Cliche and cheesy things are said and everything about the story becomes confusing to follow, therefore you can basically turn off your brain when you watch it. 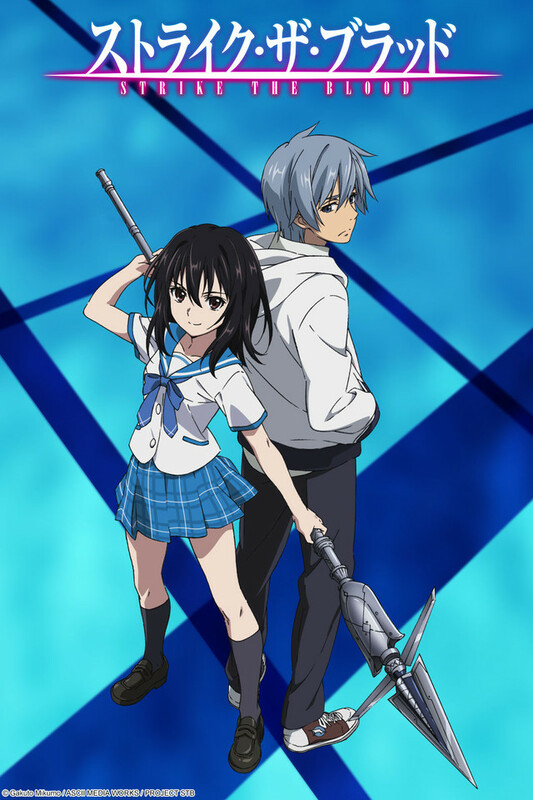 Strike the Blood is fine in a sense that the somewhat decent action scenes and animation and occasional intrigue with the plot make it easy to watch while withstanding everything that is just so cringe worthily bad about it. It's simple... sit back, relax, laugh a little and witness this marvel of fan service. So far so good. Hell yes. This is really intriguing, im just anxious to wait for the rest of the episodes to come out and its such a well thought out anime, really getting into it and im only up to episode 3 great start to an amazing anime. Its so hard to find a good vampire anime now a days, especially a really good one i cant wait for the next epesode!! On the occount of the other vamprie animes ive seen compared to Shiki or even rosario+vampire this is still really good, still cant wait for the nexy epesode! Wasted potential, this anime strives to be nothing more than genric. First episode was good, but each episode just gets worse. Episode 3 is just a let down and has ended my excitement that this series can be anything other than generic. Episode 3 we get the typical main lead thought to be dead, love interest freak out and I'm sure he's gonna saver her too. Shame this could have been an interesting story, but I fear it doesn't have the ambition to be better than average.